The following is an overview of human rights violations in Iran on January 23rd, 2019 based on the information compiled and verified by Human Rights Activists News Agency (HRANA). (1) At least six protests were organized across the country on January 23, 2019. The municipality workers in Marivan, Borujerd, and Shadegan, the retired employees in Tehran, costumers of Kerman Motors in Tehran, and the families of victims’ of Sanchi oil tanker collision have held separate protests to request their redemands. (2) The authorities of Evin prison refused to transfer Narges Mohammadi and Nazanin Zaghari Ratcliffe to a hospital. Mohammadi is in urgent need of medical care such as anti-seizure drugs. (3) Esmat Salahshour was sentenced to five years imprisonment in Urmia, on the charge of “cooperation with a Kurdish opposition group”. Mokhtar Zarei has been tried in absentia and was sentenced to three years in prison. He is accused of “insulting the Supreme Leader” and “propaganda against the state”. (4) Yashar Soltani, director of Memari News website, was sentenced to five years in prison, and was banned for two years form traveling, membership in any social or political group, and internet activism. He was arrested in 2016 after he reported on alleged corruption in Tehran’s municipal government. (5) Majid Hosseini was released on bail today. He was transferred from solitary confinement to the quarantine ward of Evin prison recently. Arsham rezaei who was arrested with him, is still in prison. He was arrested with Arsham Rezaei on the charges of “insulting the Supreme Leader” and “collusion against the state”. (6) Iraj Mohammadi was released on bail after ten days, in Miandoab. He was accused of “propaganda against the state” because a former political prisoner transferred the amount of money into Mohammadi’s bank account. (8) Rahman Jasbi Zargani who was married and had two children, was executed in Sepidar prison in Ahvaz on the charge of murder. He was accused of murdering his cousin in a fight in 2009. In 2018, at least 236 people have been executed and 195 people have been sentenced to death in Iran. (9) Sepideh Gholian was detained in the Intelligence Ministry’s detention center in Ahvaz but Esmail Bakhshi ‘s whereabouts is still unknown. They have been rearrested after the broadcast of their under-torture confessions on the national television. Their families have been under pressure from security forces not to discuss the matter publicly. Moreover, Amnesty International warns that they are at grave risk of further torture. (10) Saeed Shirzad, a political prisoner in Rajaee Shahr prison in Karaj, has been refused urgent medical care despite doctors requested his transfer to hospital for his severe kidneys’ failure a month ago. While the prosecutor’s office has assured that he would receive treatment a month ago, prison authorities have prevented this transfer. (11) Two workers died and one was injured in Charmshahr village in Tehran province because of negligence in the oversight of safety conditions in their workplace. Iran ranked 102 in the workplace safety among other countries. (12) Four female prisoners including a juvenile offender, accused of murder were spared from hanging on gallows by consent of next of kin in Shahr-e Rey prison. In addition, Sohrab Nosrati was saved from execution in Rajaee shahr prison in Karaj. (13) Two thousand workers of Abadan municipality have unpaid wages. The workers of Ghoflkar Company in Qazvin have held a protest to request their unpaid wages on Tuesday. (14) Ahwazi Arab citizens, Hassan Alvani, Malek Abdollahi, and Gheis Chaian have been arrested by security forces in Ahvaz and Shush. Their whereabouts are still unknown. (15) Tehran appeals court sentenced Christian converted ,Majid Reza Souzanchi Kashani, to two-year prison term. He was charged with “membership in evangelical groups” and “evangelical-related activities”. (16) The arrest of 11 poachers in Sarab and 160 illegal tree removals in Bandar Abbas have been reported by the Department of Enviroment. The following is an overview of human rights violations in Iran on January 17th, 2019 based on the information compiled and verified by Human Rights Activists News Agency (HRANA). (1) More than three protests were held across the country. The workers of inter-city rail in Ahvaz, several teachers in Yazd, and the workers of the maintenance contractor in oil, gas, petrochemical, refineries, water and energy (RAMPCO Group) in Assaluyeh, have organized separate protests. (2) Four people have been summoned and one was arrested in Sonqor in Kermanshah province. Borzou Naderi, Ehsan Darabi, Fahim Naseri, Kiumars Vaezi, and Zahra Asadi have been summoned. Moreover, Darabi was arrested and transferred to the Intelligence Detention Center. (3) A detained Lebanese citizen, Nazar Zaka, who was held in solitary confinement for 11 days, has been transferred from Evin prison to Islamic Revolutionary Guard Corps Detention Center. He was sentenced to 10 years and paying 200 thousand dollars fine on espionage-related charges. (4) A day after Iranian ambassador to the UK meeting with the UK media regarding Nazanin Zaghari Ratcliffe’s case, the UK Foreign Secretary, Jeremy Hunt, repeated his request for her release. (5) Five Kulbars have been shot by border patrol in Khoy, Sardasht, Urmia, and Chaldoran in West Azerbaijan province. Afshin Alipour, Abdollah Yousefi, Ehsan Khaledi, Naser Omari were killed or injured. Also, Amir Taheri, another Kulbar, died from hypothermia. (6) Hamid and Mohammad Parvazeh who were arrested by the Intelligence agents in Sanandaj, were transferred to Marivan prison. They were charged with “cooperation with a Kurdish opposition group”. They were not given access to lawyers. (7) Prison authorities will transfer Nazanin Zaghari and Narges Mohammadi to hospital. They ended a 3-day hunger strike in protest to the denial of medical care last night. They suffer from serious health conditions which have been exacerbated in prison due to authorities’ refusal of medical care to them. (8) Amir Amirgholi a former political prisoner and a member of Gam editorial board was arrested and his whereabouts is unknown. Amir Hossein Mohammadifar and Sanaz Allahyari, the editors of “Gam”, were arrested on January 9, 2019. (9) Mostafa Borumand sentenced to 74 lashes and six and a half years imprisonment on the charge of “disturbing public order” by being present in an unlawful protest. He was in Vakilabad prison for 11 months before his trial. (10) An 11-year-old student died by suicide in Urmia in West Azerbaijan province. More than 7% of suicides in Iran are committed by teenagers. (11) A 55-year-old construction worker had a fatal fall in his workplace in Tehran because of negligence in the oversight of safety conditions. (12) Political prisoners of Urmia prison were transferred forcefully by “special guards” to a high security level ward which does not have any air conditioner, window, and kitchen. The following is an overview of human rights violations in Iran on January 16th, 2019 based on the information compiled and verified by Human Rights Activists News Agency (HRANA). (1) Morteza Parhizgar was sentenced to 74 lashes and nine years imprisonment on the charges of “assembly and collusion against national security” and “insulting the president”. He was in prison for 11 months before his trial. (2) More than five protests were held across the country. The workers of inter-city rail in Ahvaz, several teachers in Yazd, the farmers of Esfarvarin, the customers of SAIPA and Iran Khodro in Tehran and Urmia, and the workers of the maintenance contractor in oil, gas, petrochemical, refineries, water and energy (RAMPCO Group) in Assaluyeh, have organized separate protests. (3) Six United Nations special rapporteurs requested Iranian authorities to prepare medical care for Nazanin Zaghari Ratcliffe and Narges Mohammadi. Their health conditions have been exacerbated in prison due to authorities’ refusal of medical care. (4) Aryasb Bavand was sentenced to 22 years and six months prison term and Mahizadeh Poshtpanah has faced six years imprisonment. Their accusations are “Forming a group to act against the national security, propaganda against the state and insulting the Supreme Leader”. (5) A worker of Iran National Steel Industrial Group (NSIG) in Ahvaz, Mohammad Reza Nematpour, was released today. Two other workers of NSIG are still in prison. More than 43 workers of NSIG have been arrested on December 16, 2018. (6) A 29-year-old prisoner was executed on the charge of murder after spending six years in prison. He was hanged earlier today, in Babol. In 2018, at least 236 people have been executed and 195 people have been sentenced to death in Iran. (7) Some 13 thousand children suffer from malnutrition in Sistan and Bauchestan province. (8) A student transportation vehicle crashed leaving one dead and six injured students in Ekhtiarabad in the Kerman province. (9) An accused individual in the Golestan province received an alternative sentencing to study and teach traffic laws to students. In the last 10 months, 3000 convicts received alternative sentences in the Golestan province. (10) A lawyer, Hossein Ahmadi Niaz, was summoned to the Sanandaj court on the charge of “publishing lies” and “disturbing public opinion”. Several lawyers were arrested or have been under pressure for the cases they accepted to defend. (11) The court of Azerbaijani Turkic minority rights activists, Olduz Ghasemi, Javad Ahmadi Yekanli, and Amir Sattari was in session today. They were charged with “propaganda against the state” for being present in an unlawful protest. (12) Some 1.5 million students are studying at old and structurally unsafe schools. In the last six years, hazardous events occurred due to unsafe schools and led to 58 injuries and deaths. Moreover, 70 students died or had been injured in schools field trips. (13) Majid Asadi, a prisoner in Rajaee Shahr in Karaj, wrote an open letter about torture, mistreatment, humiliation and abuse in prison. He has been arrested in February 2017 on the charge of “assembly and collusion against national security”. He is serving his six years sentence. The following is an overview of human rights violations in Iran on January 14th, 2019 based on the information compiled and verified by Human Rights Activists News Agency (HRANA). (1) Five Kulbars (Kurdish back carriers) have been shot by border patrol in Sardasht and Baneh. Namagh Gholami died and Sirvan Hassanzadeh, Jabbar Ahmadi, Karzan Aminzadeh, and Shahryar Khezri were injured in this incident. Moreover, three other Kulbars died or were injured in Salmas and Sardasht in West Azerbaijan province. Ayob Amini died and Hashem lost his hands due to hypothermia. In addition, Osman Ramezani died of drowning in the river. (2) Ali Rabiei, the former labor minister, shows concerns about protests in 160 cities in January 2018. He added that people’s dissatisfaction, injustice, and dysfunctional politics caused these uprisings. (3) At least five protests were organized on January 14, 2019. Educators in Tehran, the workers of inter-city rail in Ahvaz, the customers of SAIPA Company in Tehran, the shareholders of the bankrupt financial institution of Caspian, and the customers of Sekeh Samen website in Tehran have been demanding their requests in separate protests. (4) A worker of Iran National Steel Industrial Group (NSIG) in Ahvaz, Behzad Alikhani, was released today. Three workers of NSIG are still in prison. More than 43 workers of NSIG have been arrested on December 16, 2018. (5) At least four prisoners were executed in Rajaei Shahr prison in Karaj. Mohsen Rezaei, Reza Farmanjou, and Baratali Rahimi were executed on Wednesday. They were transferred to solitary confinement on Monday. (6) 219 poachers have been arrested in the South Khorasan Province in the last 10 months. More than one thousand and 573 animals and their carcasses were confiscated from them. (7) Yazd court of appeals sentenced two Baha’i citizens to two years imprisonment, combined. Mehran Bandi Amirabadi and Mehran Eslami Amirabadi were sentenced to prison terms and exile on the charge of ‘propaganda against the state’ earlier. (8) Alireza Golipour has not received access to medical care in Evin prison. Although he has severe seizures and a prison doctor requested his transfer to the hospital due to his deteriorating health condition, he was not transferred to the hospital. (9) Nazanin Zaghari and Narges Mohammadi , prisoners of conscience, began three-day hunger strike in protest of denial of medical care. They suffer from serious health conditions which have been exacerbated in prison due to authorities’ refusal of medical care to them. (10) Iraj Mohammadi was summoned to the intelligence office and was arrested in Miandoab on January 13, 2019. He had been released from prison after completing a ten-year sentence, in October. 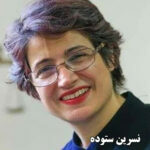 (11) Nasrin Sotoudeh, the Iranian human rights lawyer, was being banned from having visitors. She is imprisoned on security-related charges. (12) Expulsion of Shirin Baninejad, a Baha’i Computer Science student, from Azad University of Andisheh (Sama) due to her faith. Bahai students in Iran routinely experience denial of entrance to university or expulsion during their studies. (13) Saeed Sadeghifar, Azerbaijani Turkic minority rights activist, is summoned to the Ardabil Revolutionary Court on January 23. He was charged with ‘forming an illegal group to disrupt national security’. Asgar Akbarzadeh, Rahim Gholami, and Ali Vaseghi, Azerbaijani Turkic minority rights activists, have been also summoned to the Ardabil court. (14) A 36-year old prisoner accused of murder, was spared from hanging on gallows by paying the blood money and consent of next of kin. He was spending 12 years in prison. (15) A worker and a firefighter were injured in Tehran because of negligence in the oversight of safety conditions in workplaces. (16) The workers of Farnakh and Mahnakh Company have 180 billion Rial [approximately one million and 80 thousand USD] unpaid wages. (17) Mohammad Karimi, a labor activist, was released from Bukan prison after 13 months of imprisonment. He was arrested and sentenced to three years in prison in November 2018. Human Rights Activists News Agency (HRANA) – The 17 prisoners held on political or security-related charges in the Women’s Ward of Tehran’s Evin Prison live with deplorable conditions, compromised hygiene, and paltry nutrition. The following is a brief exposé of their quality of life, followed by a snapshot of their individual case files. Many of these prisoners are mothers pained by the distance from their children, a pain that is only exacerbated by the prison chief’s refusal to grant them access to the phone on days of the week that their children are home from school. While the prisoners were granted permission from prosecutors to open the Saturday-to-Wednesday phone schedule to any day of the week, the chief, who goes by “Chaharmahali,” has refused to loosen up the former protocol. In another blatant disregard of court orders, prison authorities refuse to send prisoners to outside medical clinics even when prosecutors and deputy prosecutors order or grant permission for the transfers. Prison authorities justify their refusal by saying that the prison clinic has its own doctors, or will recruit them as necessary; yet prisoners needing help from a psychologist, eye doctor, or internal specialist wait months to be seen. These women are effectively hindered from providing even the most basic care to themselves, as clinic authorities refuse to distribute basic medicine or first aid kits to inmates. Many–insulted by the stipulations from Khani, the clinic head, that they take all of their nightly medication in one supervised sitting–have quit their medications in protest, and are experiencing aggravated symptoms as a result. Evin Prison dentistry operates in less-than-sterile conditions and exposes patients to remarkably high risk for infections. Cavity fillings are expensive there, putting patients out as much as 20 million rials (approximately $114 USD) or preventing them, for lack of means, from getting the fillings they need. Many of the Evin women have trouble footing the bill, as the now-unemployed breadwinners of their households or as the wives of men who are also behind bars. Prison food rations are growing more pitiful by the day. Forty-day rations of dry food items that are distributed to prisoners are depleted without fail within half that time. In the last six months, meat and vegetables have been cut from the prisoners’ diets. Hygiene and cleaning items are also in short supply. Most prisoners run out, and those who can’t afford the pricey prison shop simply do without. Deputy prosecutor Rostami oversees political and security prisoners and recently took up his position in Evin’s prosecutorial office. While he has verbally engaged to welcome prisoner families into his office on Sundays and Tuesdays, complaints from these families suggest that he is chronically unavailable, impassive to their requests, and generally unaccountable. Complaints lead nowhere, families say; requests for furlough or conditional release are routinely ignored. Prison authorities rarely visit the Women Section, and tend to either lose or ignore any letters from its inmates. 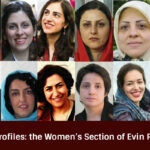 Who are the women of Evin Prison’s Women’s Ward? Convicted of enmity against god, gathering and colluding against national security and propagating against the regime through working with the Mujahedin-e Khalq (MEK), Monfared is serving a suspended sentence of 15 years. Monfared was arrested December 31, 2009, following a widespread Ashura demonstration during the holy month of Muharram. 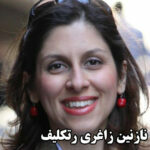 She was tried the following May and sentenced by Branch 15 of Tehran’s Revolutionary Court, presided by Judge Salavati. She denied the accusations against her. 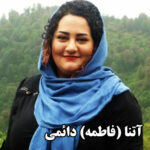 Monfared has been shuffled around different penitentiaries over the course of her imprisonment, inducing the solitary cells of Ward 209, the Methadone Ward, the Women’s Ward, Rajai Shahr Prison, and Qarchak Prison in Varamin. After writing several letters to clerics, prison authorities, and Ahmad Shaheed, then the United Nations Special Rapporteur on the Situation of Human Rights in Iran, she was returned to Evin’s Women’s Ward and has remained there since. Two of Maryam’s brothers were executed in 1981 and 1984 for their connections to the MEK. Another younger brother and a sister were also executed during the 1988 massacre. Maryam, a mother of two, has been barred from conditional release and has not received a single day of furlough since she began her sentence in 2009. Zahra Zahtabchi was issued a 10-year suspended sentence for Baqi (violation) and enmity against god through support of the MEK. Zahtabchi was arrested with her husband and daughter on October 16, 2013. 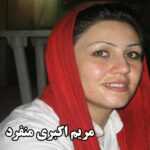 She came to Evin’s Women’s Ward after spending 14 months in the solitary cells of Ward 209. On December 8, 2014, Branch 15 of the Revolutionary Courts sentenced her to 12 years in prison. The sentence was reduced to 10 years in appeals court. Her two daughters are Narges, 22 and Mina, 15. In 2016, three years after her arrest, she went on furlough for three days. Fatemeh Mosana was sentenced to 15 years for Baqi and enmity against god through support of the MEK in Branch 26 of Tehran’s Revolutionary Court, headed by Judge Ahmadzadeh. Her husband Hassan Sadeghi received the same sentence. 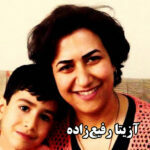 Mosana, Sadeghi, and their child were arrested January 28, 2013, by Intelligence Ministry forces. The child was released after six weeks. Mosana spent 75 days in the solitary cells of Ward 209 before her transfer to the Women’s Ward. On January 13, 2014, she was temporarily released on bail. Some of her family’s property, including Sadeghi’s shop and their personal house, was seized by the authorities. On September 30, 2015, she was re-arrested and taken to the Women’s Ward. She has two children who currently live with their ailing grandmothers. Mosana, who suffers from ulcerative colitis and severe nervous migraines, has never been granted furlough. 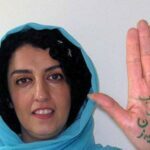 Narges Mohammadi is serving a 16-year sentence, compounded by a six-year sentence on a previous case. Narges was first arrested in 2002 and then released on bail after a week. For that case, she received a one-year sentence. In May 2010, she was arrested and held for weeks in the solitary cells of Evin’s Ward 209 before being released on a bail of 1 billion rials. In 2011, she was convicted of gathering and collusion against national security and propaganda against the regime, which carried a sentence of 11 years in prison. The sentence was later reduced to six years in appeals court. 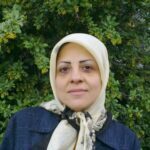 She started serving her sentence in 2012, which began with one month in solitary confinement and four months in exile in Zanjan. She was released due to health conditions before being re-arrested in 2015 to resume her sentence. At that point, authorities opened up a new case file against her, convicting her anew of gathering and collusion, and of propaganda against the regime, with the additional charge of establishing LEGAM, a campaign to abolish the death penalty. Collectively her charges earned her 16 years in prison, but by Article 134 of Islamic Penal Code, she should only serve 10 [i.e. the sentence corresponding to the heaviest among her multiple charges]. She has two children, and on the prosecutor’s orders is barred from having contact with her husband. She suffers from pulmonary embolism and was granted a three-day furlough on September 29th. Born in 1982, Reyhaneh Haj Ebrahim Dabagh is serving a 15-year exile imprisonment sentence, ruled by Judge Salavati in Branch 15 of the Revolutionary Court on charges of enmity against god through support of the MEK, gathering and colluding, and propaganda against the regime. Ebrahim Dabagh has been in prison since early 2010. 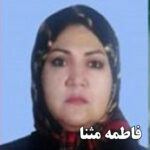 She suffers from ulcerative colitis and has served exile time in Qarchak and Rajai Shahr prisons. 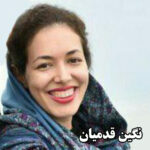 Her husband Ahmad Daneshpour and her father-in-law Mohsen Daneshpour are awaiting trial in Evin’s Section 350. They are both said to have been sentenced to capital punishment. After seven years in prison, Ebrahim Dabagh went on furlough for the first time in December 2016, and was briefly freed on bail. On August 15, 2018, she was sent back to Women’s Ward to serve the rest of her sentence. As part of a 2011 crackdown on the Baha’i academic community, security agents raided the homes of managers and professors at the Baha’i Institute of Higher Education (BIHE), including Azita Rafizadeh’s. In the raid, her religious books, personal writings, and electronic devices were confiscated. Rafizadeh was sentenced in 2014 to four years in prison on charges of acting against national security and membership in “the illegal Baha’i organization.” Her husband Peyman Kooshkbaghi was sentenced to five years in prison at the same time. She presented hersef to Evin’s prosecutors in 2015 to begin her sentence. On February 28, 2018, her husband was detained without reason in Evin’s section 8 while trying to arrange a visit with her. Rafizade and Kooshkbaghi have a 10-year-old son name Bashir who in absence of his parents has been trusted to the care of another family. Zaghari-Ratcliffe is serving a five-year suspended sentence on charges of gathering and collusion against national security. Zaghari-Ratcliffe was arrested at the airport while visiting Iran on holiday in 2016. After a day in IRGC’s detention center, she was transferred to Kerman prison, and two months later to Tehran, where Judge Salavati issued her prison sentence in July of that year. A few months later, she was sent to the Women’s Ward. On August 23rd, she was granted a three-day furlough after two and a half years in prison. She has a four-year-old daughter. A student of London’s Kingston University, Amiri was arrested by Intelligence Ministry forces on March 14, 2018, and released two months later after posting a 5000 million rial bail. On September 7, 2018, she was summoned and subsequently arrested by Evin prosecutors, after which she was sent to the prison’s Women’s Ward. She has denied the “gathering and collusion against national security” accusations against her and is still awaiting trial. Irayi was sentenced to six years in prison, which was reduced to 2.5 years based on amnesty and Article 134 of Islamic Penal Code. 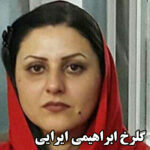 She was convicted of insulting the sacred and gathering and collusion against the regime. Earlier this year, she was exiled to Varamin’s Qarchak prison, and was brought back to Evin after going on hunger strike. On September 6, 2014, Golrokh was arrested along with her husband, Arash Sadeghi. She spent two days in an IRGC safe house and then 20 days in the solitary cells of Evin’s Section 2A, which is under IRGC jurisdiction. She was released on a bail of 800 million rials. Judge Salavati sentenced her to six year in prison while she was undergoing surgery in the hospital. On October 24, 2016, the IRGC arrested her without a warrant. 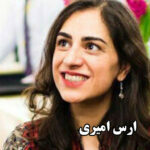 Her husband Arash Sadeghi was also arrested and sentenced to 19 years in prison. He is currently in Karaj’s Rajai Shahr prison and has undergone operations for cancer. Arash and Golrokh have been forbidden from seeing each other for the past 8 months. According to Sotoudeh’s lawyer, she has been sentenced to five years in prison for espionage (a charge that does not figure on her charge sheet), a complaint from Kashan prosecutorial interrogators, and an arrest order from Branch Two of Evin’s interrogators. She currently awaits trial. Sotoudeh was first arrested September 2010 and sentenced to 11 year in prison, a 20-year ban from the bar association, and 20-year travel ban. Appeals court reduced these sentences to six years in prison and a 10-year ban from the bar. She was in Evin prison from 2010 to 2013 on charges of “acting against national security.” Upon her release, lawyer’s court banned her from the bar for three years, which she protested in 2014 by organizing a sit-in in front of the Bar Association. Because of her sit-in, her attorney privileges were reinstated. On June 13th of this year she was arrested in her home and taken to Evin prison. Her husband Reza Khandan is being held in Evin’s Section Four. Two of her children, Mehrave and Nima, are currently in the care of family friends. On May 24, 2011, Negin was arrested by security forces and released on a bail of 500 million rials. In February 2013, along with eight other Baha’i citizens, she was convicted in absentia of working with the Baha’i Institute for Higher Education and sentenced to five years in prison by Judge Moghise. On December 16, 2017, she was arrested at the airport and sent to the Women’s Ward of Evin prison to serve her sentence. Malakshah and her ex-husband, Amir-Mehdi Tabasi were arrested in 2011 by the Intelligence Ministry agents. Both were detained and later released on bail on espionage charges after travelling to the Israeli embassy in Turkey and applying for residency in Israel. Both Malakshah and Tabasi were sentenced to 10 years, a sentence which was confirmed in appeals court in 2017. Malakshah was taken to the Women’s Ward of Evin prison. Tabasi is detained in a different ward of same prison. Mashallah is awaiting trial on charges that are currently unclear. Of Iranian origin, Mashallah is a citizen of Bahrain. She was arrested in May 2018 in Mashhad and taken to Evin’s Women’s Ward on June 27th of the same year. Her Bahraini husband has only been able to meet with her once since her arrest. She a mother to three children. Tajik was arrested by IRGC’s Intelligence Department on September 5, 2017. She was taken to the Women’s Ward earlier this year after spending seven months in an IRGC safe house. Her husband, who is said to be a retired employee of IRGC’s Intelligence Department, is also under arrest. She awaits trial on charges of espionage. Tajik and her spouse have two children aged 16 and 19. Daemi was arrested on October 21, 2014. On May 15, 2015, Judge Moghise of Branch 28 of the Revolutionary Court sentenced her to 14 year in prison on charges of collusion and gathering against national security, propaganda against the regime, and insulting the Supreme Leader. Her sentence was reduced to five years with application of Article 134 of Islamic Penal Code. After her arrest and before her trial, she spent 86 days in the solitary cells of Section 2-A. On February 15, 2016, she was released on a bail of 5500 million rials. Her sentenced was reduced to seven years in appeals court in August of 2016. Daemi was arrested in her father’s house that November, and cases against her two sisters and one of her brother-in-laws immediately followed. She went on hunger strike for 54 days until the charges against them were dropped. So far she has been acquitted of two case files that have been opened against her. In January of this year, she was taken to Varamin’s Qarchak prison after being assaulted. On May 9th, she was taken back to Evin’s Women’s Ward. She has thus far been denied furlough and has yet to request parole. On December 28, 2011, Barmarki was arrested on the street and spent three months in the solitary cells of Section 209. She was then released on bail and was later acquitted. On July 23, 2012, she was arrested again, this time spending 14 months Section 209 solitary cells. On September 29, 2013, she was transferred to the Women’s Ward. In Branch 28 of the Revolutionary Court, headed by Judge Moghise, Barmaki was sentenced to 10 years in prison and fines of 25,000 Euros, 70,000 USD, and 400 million rials. She has two children, Amir-Parviz and Anita, who both live abroad. She was released once on furlough in March 2017 for the Persian New Year. Her request for parole has been rejected. Fazeli was arrested in early 2011 by the Intelligence Ministry. She spent 31 days in Evin’s Section 209 before being released on bail in 2011. Branch 15 of the Revolutionary Court, headed by Judge Salavati, sentenced her to three years in prison on charges of “enmity against god by supporting the MEK.” She has been held in the Women’s Ward since June 29, 2016. Fazeli suffers from eye and muscle problems, among other health conditions. She was released on a short furlough in 2016. Her requests for parole have been repeatedly rejected. Since the beginning of the new Persian calendar year in 2018, 15 new prisoners have entered the Women’s Ward, including Zahra Zare, Negar Zarei, Mandana Azarmah, Akram Gholami, Aliyah Eghdamdoost, Akram Mirsane, Raha Fasayi, Parisa Rahmati, Batool Ezati and Arefe Aziz. A number of these women have been already released.